If you are a nurse from overseas planning to be a travel nurse in beautiful Australia let my years of nursing experience in Australia ensure you get the right information. The topics covered here will include important information that will help you navigate the often confusing and complex processes involved in working as a nurse, like getting a license –or is it registration? or is it practising certificate? - even getting the terminology right! Getting reliable, knowledgeable information can make all the difference. I have personally seen some nurses get incorrect or ill informed ‘guidance’(and sometimes from paid professionals supposed to be ‘helping’ them) that I decided it was time to give back to the profession that has given me so much and give guidance and information that will help other nurses. 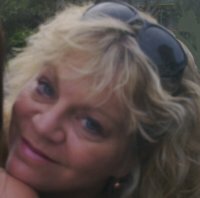 Importantly I have expertise in the area of regulation and registration processes for overseas nurses coming to Australia, (see the About Me on this page), this gives you the confidence to know that my knowledge is reliable and up to date. 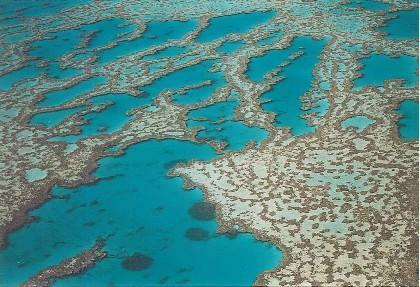 This is a photo I took of the Great Barrier Reef on one of my working holidays! Some information on the history of nursing in Australia is provided to help travel nurses understand the early beginnings of nursing as this has shaped and influenced the contemporary nursing profession as it is today. It is also important to understand how the health system has its foundations in the western medical model of healthcare. I have included stories from real life nursing situations just because humor always makes things seem a little less intense, nursing humor always gets a laugh at my dinner parties! There is even a page where you can add your funny story to the website too! There are so many beautiful places to go in Australia how do you choose where to go and where to start? What is the perfect travel nurse destination in Australia! I give detailed information on each state of Australia, its attractions, weather and of course work opportunities. So read on, plan your Travel Nurse adventure in Australia and most importantly enjoy your nursing experience in Oz! Every Nurse has a story. My Nursing story started 30 years ago, a lot has changed since then and there is a lot to tell! Australian World War 1 Nurses - Read more stories of Australian Nurses at war and the courage and bravery they displayed to make us all proud! Stories of nurses from war times abound with courage, determination and the Aussie spirit- none more so than Australias World War 2 Nurses! The Australian Health Care is unique from any other in the world so if you are a Travel Nurse coming to work in Australia it is important to find out how it works -read here! Come Nurse in Australia - Everything you need to know is right here! Nurse Education in Australia explained here! Get an overview of how Nursing Education works in Australia NOW! The systems have undergone enormous changes over the last 30 years in Australia. Get A Travel Nursing Job in Australia – How to be successful in getting the job! Get the Travel Nursing Job you want in Australia – handy tips for finding, applying and landing that perfect job for your Travel Nurse adventure! A Great Resume will get you the job you want! A Resume Needs to Grab the Attention of an Employer Within 10 Seconds! Here’s How to Make Sure it Does! There Are So Many Australian Hospitals! How To Find The Right One For Your Travel Nurse Experience Is Made Easy Here! Victoria , Australia is a State full of many wondrous things to see. If you are a Travel Nurse coming to Victoria you can find plenty of helpful information here! Queensland, Australia is a State of beautiful beaches and magnificent landscapes. If you are a Travel Nurse coming to Queensland you can find plenty of helpful information here! Travel Nurse Information Australia wants to hear from You! Do you have something to say then get in touch here! A Guide For Travel Nurses looking for Mornington Peninsula Hospitals. This is a Comprehensive Directory of Hospitals in the Mornington Peninsula Region! Would you like to share your knowledge about travel nurse? Great, find out how you can submit your story or tip here. I have been a Registered Nurse for 30 years, working in a variety of locations and roles.I undertook my Nursing Training at Prince Henry's Hospital in Melbourne. My early career was in Neurosurgery and Critical Care Nursing. I completed my Neurosciences Certificate at the Austin Hospital in Melbourne.I moved into Nurse Educaton and then into Management roles, completing my Master of Public Health - Health Services Management at Monash University. One of my previous roles was as a Policy Advisor at the Nurses Board of Victoria giving me a solid knowledge of the regulatory framework in Australia. 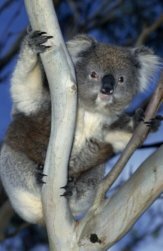 I hope you find this website helpful and I know you are just going to love Australia!